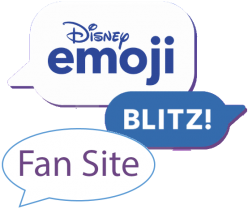 Collect every duplicate emoji from Sleeping Beauty to win a treasure. 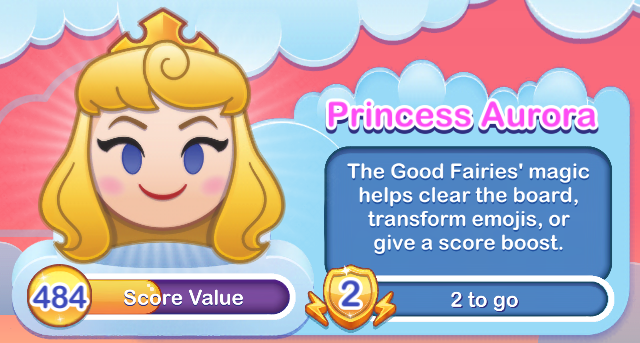 The Good Fairies’ magic helps clear the board, transform emojis, or give a score boost. Each time you call upon Briar Rose’s power a different fairy, using a different power, will help you. Slashes the board and tosses the Sword of Truth to clear emojis. “Now Sword of Truth, fly swift and sure, that evil die and good endure!” – Flora. 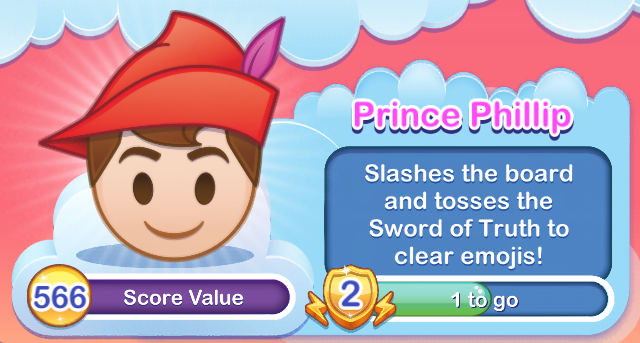 Prince Phillip skillfully clears emojis from the board with the Sword of Truth.